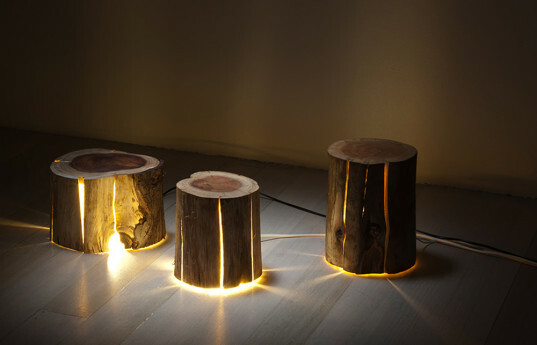 All lamps are made with salvaged cracked wood that would otherwise be burnt. 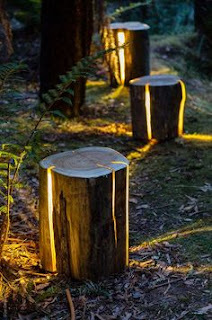 They can be used both as outdoor and indoor decor. 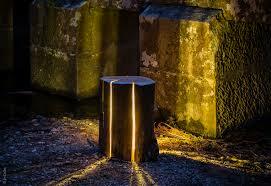 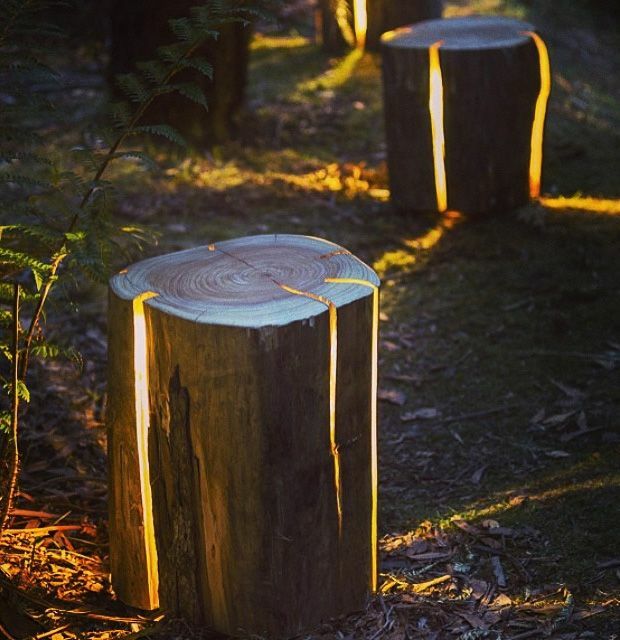 Inside the cracks, there are yellow LED lights, perfect for giving your surrounding the warm and natural look. 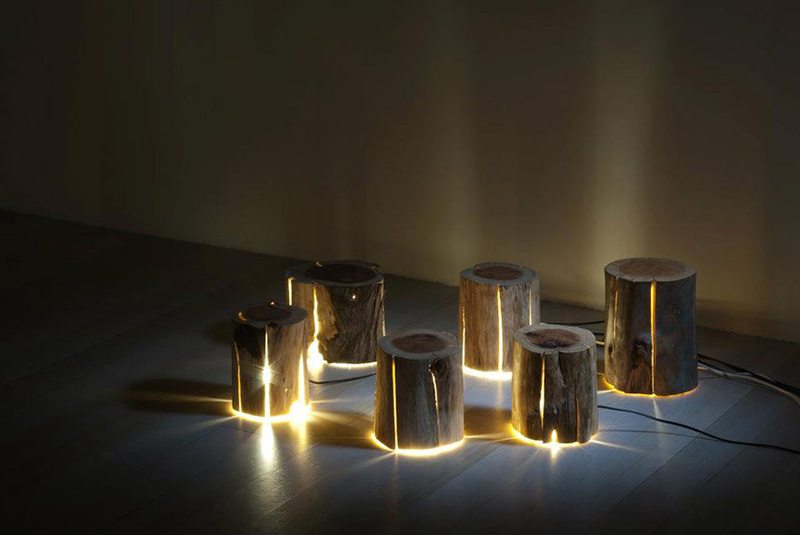 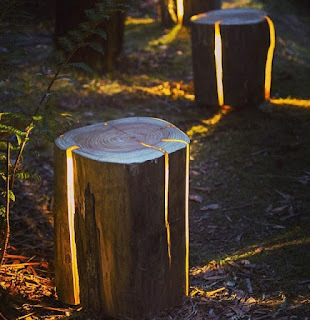 These lamps are a celebration of nature and environmentally friendly design.